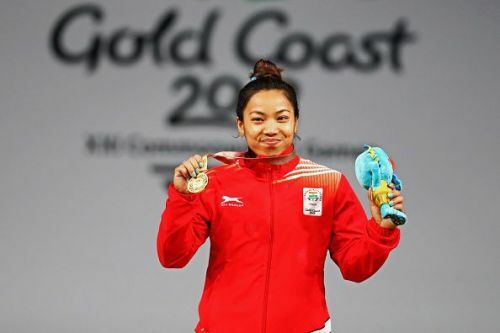 New Delhi, Aug 6 (PTI) World Champion Mirabai Chanu's participation at the Asian Games appears doubtful with India chief coach Vijay Sharma recommending that she must pull out of Jakarta event to be fit for the Olympic qualifiers, later this year. When pain subsided last week, Mirabai travelled to Mumbai to resume training and start mobility exercises. Vijay said the pain returned yesterday and he doesn't want to risk aggravating the injury. "I have submitted a report to the federation. Now they have to take a decision. I am of the opinion that in such less time it's not good to take heavy load. The Olympic qualifiers event is approaching and that is more important than the Asian Games," Sharma told PTI. "She is in constant touch with the federation. She was okay but felt slight pain yesterday in training. She stopped training but has resumed it again today," he added. Doctors across the country were unable to diagnose the cause of pain in her back. "It is a rare problem, the doctors say there might be small tear in the ligament. That is why the MRI's and CT scans are coming clean," Sharma said. Meanwhile, IWF Secretary Sahdev Yadav said final decision on her participation will be made by Thursday. One of the strongest contenders for gold medal in Jakarta, Chanu's absence will come as a huge setback for India. In November 2017, the Manipuri, who participates in the 48 kg category, had clinched India's first gold at the World Championship in 22 years after lifting 194kg (85kg+109kg) at Anaheim, USA.